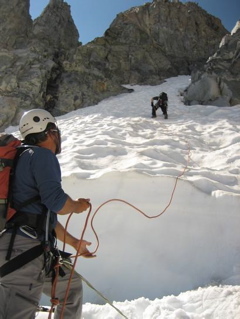 An extended alpine climbing course for beginner or intermediate climbers with in-depth mountaineering training in all aspects of alpine climbing including rock, snow and ice climbing. 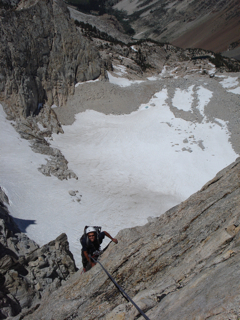 This comprehensive climbing course covers all aspects of mountaineering and is for those aspiring climbers that are serious about learning the craft of alpine climbing. 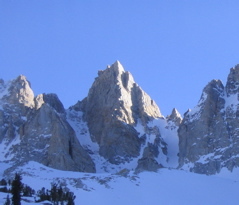 We then move on to multi-pitch rock climbing techniques with an ascent on a classic rock climb in the Sierra East Side. The first two days of this course are front-country car camping based. Perfect mountaineering training for those who have goals that include the classic alpine climbing arena's of the world such as the European alps and other big peaks, and want a complete introduction into the world of alpine climbing and mountaineering. 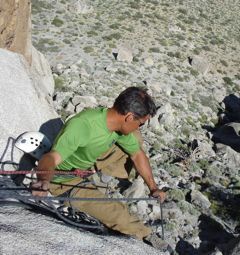 "Wanted to let you know we had an amazing time during the Sierra climbing course. 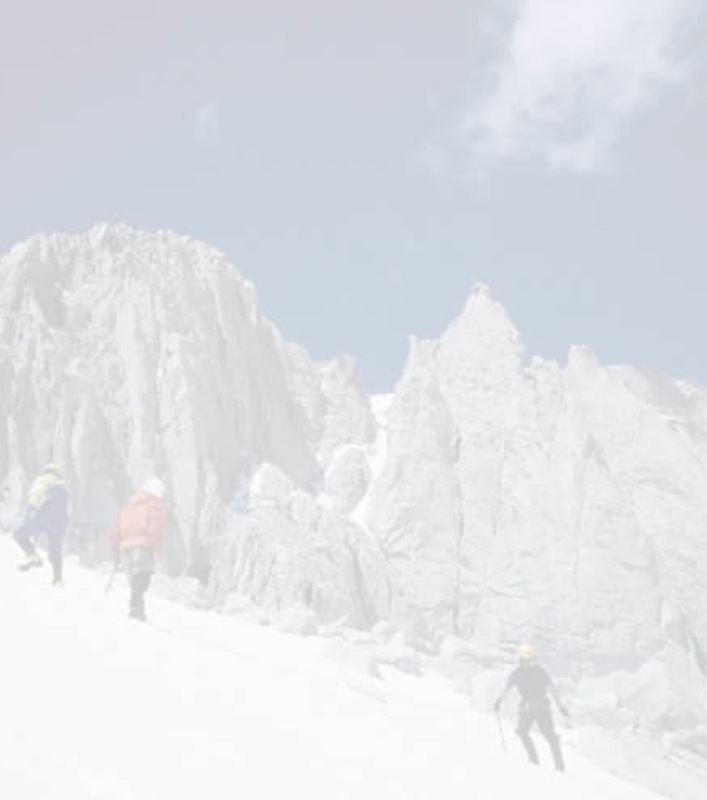 It was probably the coolest experience we've had in the mountains so far." Prerequisites: No previous climbing experience required. Very good physical shape. 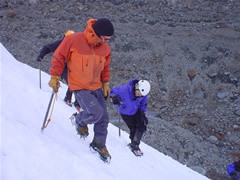 Professional mountaineering instruction with AMGA certified guides.